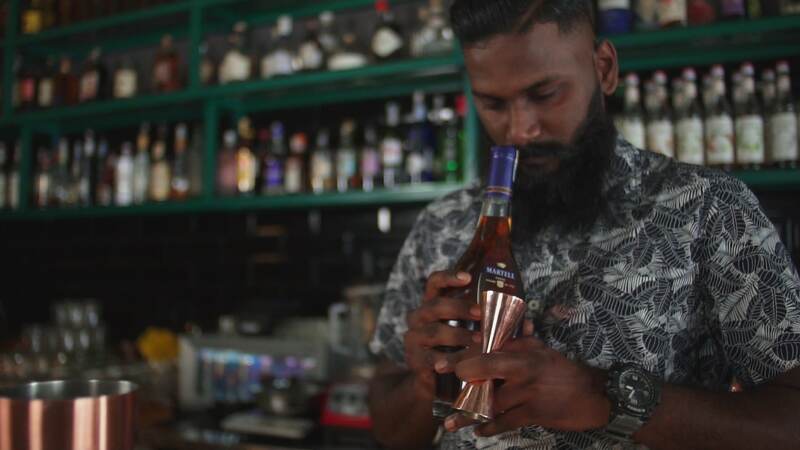 The second episode of Unlock the Bars takes us back to Kuala Lumpur as we explore some of the upcoming bars in bustling Bangsar. As one of the earliest burgeoning neighbourhood in Kuala Lumpur, Bangsar has a reputation of having some of the best food and drinks in town. Today, it remains as an upmarket commercial hub and home to Knowhere Bangsar. Tharma gets a hint of vanilla and caramel from Martell Noblige; two flavours that pair well with bananas. Pisang berangan is chosen because of its texture and sweetness. 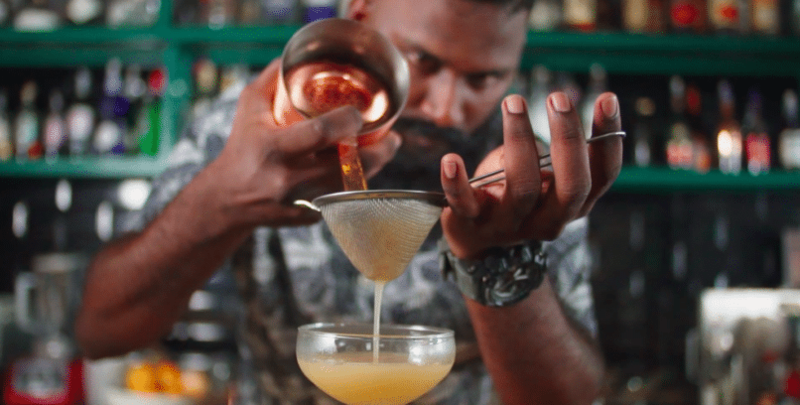 Head bartender Tharma of Knowhere Bangsar takes his cue from a familiar local fruit, the banana — specifically a variety named pisang berangan. It has a very distinct flavour that gradually changes depending on the way you use it. When it is dehydrated, the banana has a chewy and sticky texture. When you turn it into chips, it is nice and light. When it is fried, the sweetness intensifies. Crushed banana gives a silken texture from its natural sugar that is broken down through the shaking process. 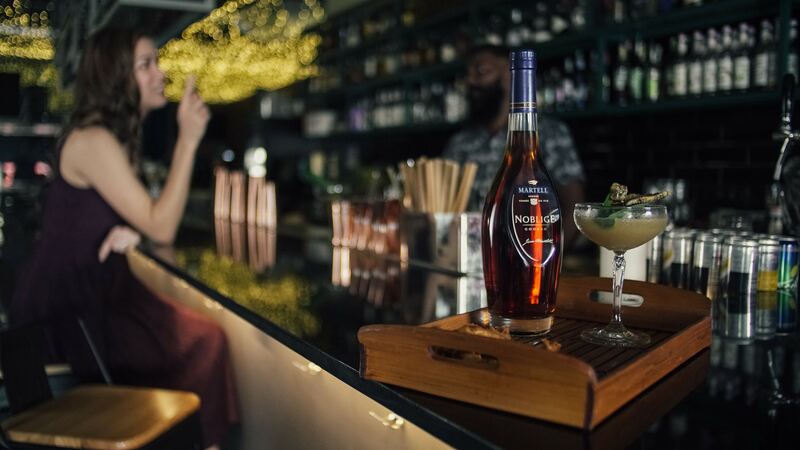 Tharma breaks the convention by pairing bananas with cognac — an unusual combination by the sounds of it, but one that’s surprisingly smooth and harmonious. 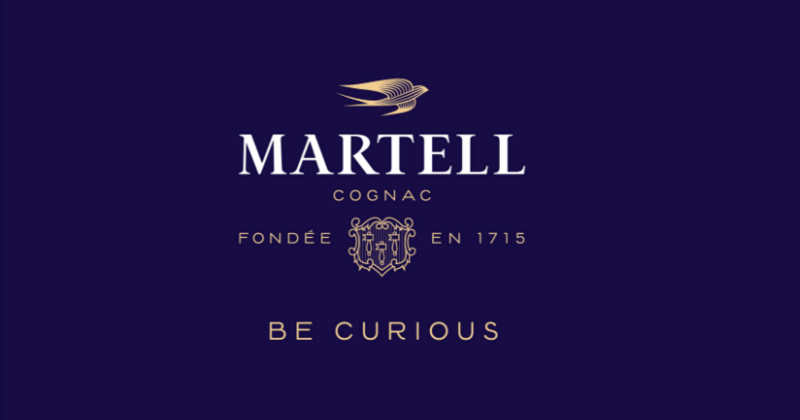 The KL-born bartender uses fresh chunks of pisang berangan in the cocktail to give an extra silken texture for an extra depth of flavour to Martell Noblige that bears a robust smokiness and caramelised vanilla taste. The drink, which is named The Berangan after the type of banana used, carries a vibrant ochre colour with a nice sheen. If you like a sweet and tropical cocktail, this is the drink for you. Want to try making it at home? Tharma shares the recipe of this unique pairing. Intrigued? Head down to Knowhere Bangsar to enjoy The Berangan for a limited time only. The Berangan will be available in Knowhere Bangsar from 10th December 2018 until 31st January 2019.